In addition, western actors’ efforts to deal with security threats at arm’s length impacts both the type of support offered and how it is provided. Their interventions thus aim to build the capacity of Tunisian security and justice institutions while supporting state and non-state entities perceived as relevant to reducing recruitment into violent groups. Since 2014-2015, western actors  such as the US, the UK, France, Germany and the EU, have ramped up their security assistance to Tunisia. They have provided training and equipment to the Tunisian police and military, including for border control, intelligence and strategic planning to strengthen the government’s CT capacity and prevent a spill over from the conflict in Libya. While this assistance is welcomed by many in Tunisia, members of civil society criticised the interventions of western actors in Tunisia for their lack of coherence and long-term vision, which risks them unwittingly reinforcing some of the dynamics they intend to address. In their view, foreign assistance should not merely reinforce the capacity of the Tunisian government but also exhort it to become more accountable, transparent, respectful of human rights, and compliant with the rule of law. As such, many highlighted the failure of the international community to urge and encourage the Tunisian state to embrace meaningful reforms as part of a coherent political strategy. By prioritising capacity building over reforms, western engagement risks emboldening or overlooking the problematic behaviour of some state actors which has exacerbated tensions and contributed to the appeal of violent action. This does not mean that enhancing the capacity of the state to protect its citizens and people on its territory is not necessary: it is, as the ineffective response to the Sousse attack illustrated. However, the international community must also recognise the Tunisian state’s role in perpetuating grievances on which violence builds, be it through repressive policing and CT measures or limp efforts to address marginalisation, poverty and inequality. Beyond jeopardising Tunisia’s long-term stability by prioritising stability over meaningful change  western states operating in Tunisia also undermine the coherence of their efforts by competing with each other. CVE: addressing, reinforcing or ignoring drivers of violence? For instance, a Tunisian health professional recounted having been asked to take part in a cultural project for poor and marginalised youth: “but my contribution to this project was in fact aimed at profiling young Tunisians, with a view to identifying people who could potentially turn to violence.”  This type of distortion of well-meaning activities can lead to mistrust and anger among the beneficiaries and be detrimental to the image of those who put them in place. Also, we were told that some organisations lack the expertise to carry out CVE activities but are nonetheless receiving funding to do so. Considering the risks of doing harm with clumsy CVE programming, this is worrying. However, even if they are well designed, CVE actions when conducted in parallel to CT interventions, as is the case in Tunisia, cannot erase the downsides of the CT approach. 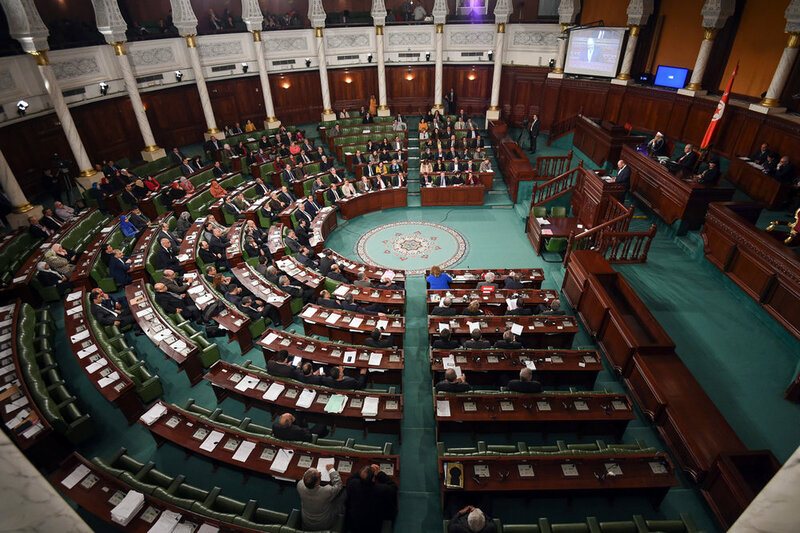 Without addressing the repressive aspects of Tunisian governance, efforts to address marginalisation and unemployment, for instance, could prove inadequate. According to several Tunisian interviewees, the abuses committed with impunity by western states in Muslim countries especially in the context of the ‘war on terror’, are a reason why some people in Tunisia support and join violent groups: “As long as the international rules of play aren’t in place, feelings of injustice and anger will continue”. If western actors are unwilling to behave according to international norms and standards, admit mistakes, provide reparation and strive to develop just solutions to the challenges faced by people across the Middle East and North Africa (MENA), the claims of violent groups to be offering a path to justice will remain very appealing within Tunisia and beyond. Resentment against the West ought to be taken seriously, as this global dimension of the problem could persist, no matter how positive international interventions in Tunisia may be. It is therefore essential for western actors to strive for more coherence, transparency and accountability in their foreign interventions. One suggestion offered by another Tunisian expert was for western actors to address the financing of violent groups, preventing businesses from contributing to those flows, applying political pressure on countries of origin and also increasing the sharing of financial information. Tunisia needs long-term, comprehensive and coherent engagement in support of sustainable peace. Instead, as shown in this section, it seems clear that international actors have adopted a short term, narrow and overly securitised focus on CT and CVE – hampered further by an unhealthy dose of competition where there should be cooperation. In adopting this approach, international actors are at best neglecting but at worst reinforcing drivers of future instability in the country. The next section outlines a series of forward-looking recommendations for sustaining a peaceful society in Tunisia. 127. While ‘preventing violent extremism’ (PVE) is increasingly being used instead or alongside ‘CVE’, we believe that in practice they pose similar questions and entail the same risks. Therefore, in this report, we will only refer to CVE for the sake of brevity. 129. Non-western actors are also active in Tunisia, in particular Turkey, Algeria and Gulf countries. The scope of this long read does not extend to analysing the role that those actors play in Tunisia, as the research focused on that of Western actors, in particular the EU, US, UK, Germany and France. Nevertheless, this long read acknowledges the involvement of other actors and the need for Western states to coordinate their efforts with them in order to ensure coherence in international support to Tunisia. 146. Interviews with civil society representatives, Tunis, October 2016 - NB: this comment was made in October 2016; since then, the law on narcotics (Law 52) has been amended after years of civil society advocacy on this issue – see section 3 for more information.